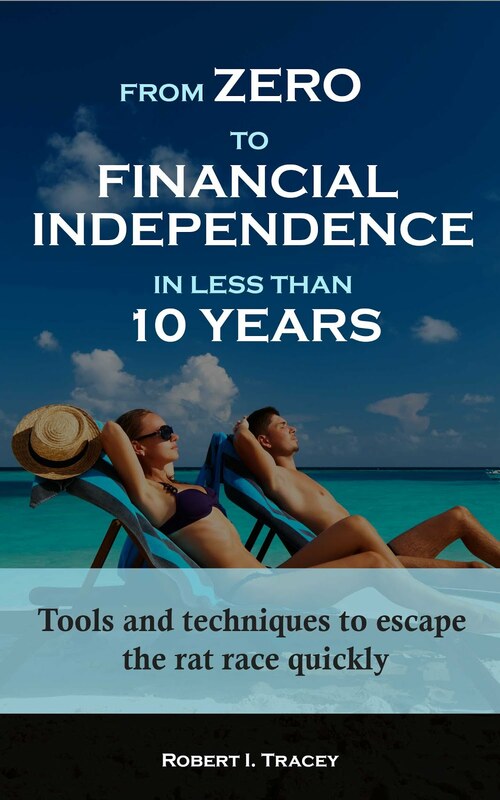 Over my 9-year journey to financial independence (FI) I’ve had a number of readers of both this blog and the fora that I frequent ask me if I’d write a book. If the truth be told I was reticent while on my journey as I thought I would be a hypocrite for writing about how to achieve something that I actually hadn’t done myself. That all changed in July 2016 when I achieved my financial independence goal with being a hypocrite switching to feeling empowered and ‘qualified’ to tell the story. I also thought that I was too busy to write the book but in hindsight that was just the victim coming out in me. Like anything in life both achievement and success is all about unrelenting prioritisation in my experience. Without that you just don’t have a chance. So with a focus on just work and the book (thanks go out publically to a very understanding and supportive family who’ve had to put up with it and me) I’ve been able to get it written over the past months and it’s now published. I’ve called the book - From Zero to Financial Independence in less than 10 Years: Tools and techniques to escape the rat race quickly. It’s currently only available on Amazon but is available in both ebook and paperback formats giving some choice. I’ve found my FI journey an incredible experience both financially and spiritually. I’ve also learnt so much, including a lot about myself, most of which will serve me well for life. This includes a switch to focusing on quality of life rather than the far more common standard of living. At age 44 I am also now in a position that is incredibly liberating and empowering. I would just love others to be able to at least see what’s possible and hope the book might spread that message further than this blog. If they then choose to stay on their current course I’m more than ok as at least they saw an alternate option and made a choice. The book has only been live a few days and this goal is looking good so far. It is already ranked number 4 in their retirement planning category, number 11 in their ebook personal finance category and number 24 in their ebook finance category. I wanted to provide the book that readers asked for. An unexpected reason was that I actually found the whole process incredibly cathartic. For years I have been learning and had tonnes of information swirling in my thoughts. By sitting down and putting pen to paper it allowed all that to be organised and filed forever freeing my thoughts for more. So what’s it about? Not surprisingly it’s about reaching financial independence quickly. I’ve gone back through my mind and notes looking for anything that actually helped me reach FI. I’ve then ordered all that information logically in a structure that explains the tool or technique required and then uses my story as an example. I also give up some more information about my personal self as it’s been necessary to create context. Why’s it so short? Firstly, I worked ruthlessly to ensure there was no waffle or fluff. It would have been so easy to just ramble on but for me the book is about the tools and techniques to execute a strategy that can give someone financial independence. That’s what you get. Nothing more and nothing less. It’s definitely not a fiction story that is designed to amuse for hours on end while on holiday. Secondly, when I boiled it down to what actually made a difference there weren’t actually that many concepts actually required with some of the tools I’ve personally used, including some I’ve written about in the past on this blog, just not adding value in hindsight. That’s good news for anyone looking to change direction. I hope you enjoy From Zero to Financial Independence in less than 10 Years and it provides value to you. Reviews so far are suggesting that’s the case with an average review of 4.4 out of 5 stars. Any honest Amazon reviews would be appreciated as it might just help somebody make a decision that could very well change their lives. I know financial independence has changed mine. Congratulations, publishing a book is a fantastic achievement. 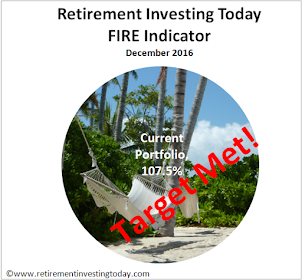 So now you've conquered FI and got the book out of your system, what is your next challenge? Thanks Slow Dad. The next challenge is to decide on a region/country, have the courage to resign, make the move and FIRE. I think the book was far easier than that. Many congratulations RIT...you certainly don't hang around! I hope lots of people are inspired to try what you have achieved...as you say, the most important thing is to make a start and then keep at it. I like the twist on the pen name by the way!! Many thanks John. Here I was thinking I was being clever with the pen name. Then you and The Rhino have me outed within about 3 minutes. Congratulations on publishing the book! I ordered it and look forward to the read. I have been following your journey from the sidelines for quite a while and it has always been interesting to read your posts and see your progress. We are the same age and of similar background. I woke up in 2012 and now aim to FIRE in the beginning of 2021. Good luck with your journey and please keep us posted! I'm on the road to financial independence and this kind of books help me to stay on the path. Ordered the book for the Kindle,love it. Hi, just to say although I haven't been following your blog (until now), I have just finished your book on kindle and I think it is excellent. I have read a whole raft of personal finance books and find your thought processes and conclusions resonate most with my own. Your portfolio construction is also very similar, a broad collection of ETFs across various asset classes that can recirculate dividends in the accumulation stage or kick them out when ready to drawdown. While a similar age I still have a long way to go, although the last decade has also been a huge turnaround for me as I took the path of contracting rather than permie jobs. I will now have a read of your back catalogue of posts! I may have to write a book too. It's a great way to help people and let everyone know it is possible. As a 57 year old Dad that has always been interested in the subject of your website I stumbled across your website a few years back. I was so impressed I sent the link to my son. He has just sent me an email telling me about the book and that he is buying it...so will I! Thanks for all your effort.